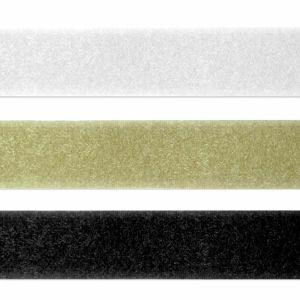 If you need to buy touch tape that is the equivalent to a Velcro product, we supply high quality rolls of touch tape hook and loop, available in range of widths and colours. 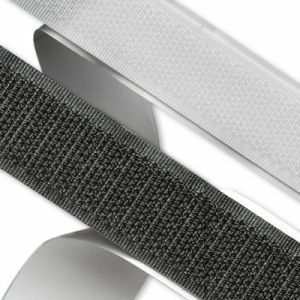 Touch tape or Velcro is used in a number of home and industrial applications including: cushion covers, garments and accessories, home improvement and more. 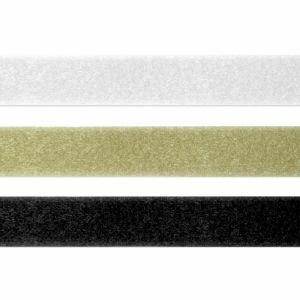 We offer two types of touch tape products; a sew-in version and a self adhesive backed version, which determine how the touch tape needs to be installed. The sew-in version can be sewn or stapled into place; where as the self adhesive version has a highly durable adhesive backing. Touch tape is sold as two parts, as it is comprised of two matching, mating strips (sold separately). The hook section is covered with small stiff hooks. The loop section is covered with tiny soft loops. These two parts connect together to form a strong, lasting hold. 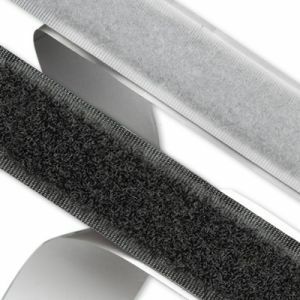 Our touch tape is a less expensive version of VELCRO® brand fasteners; however it is high quality and often used in high traffic commercial and industrial applications. 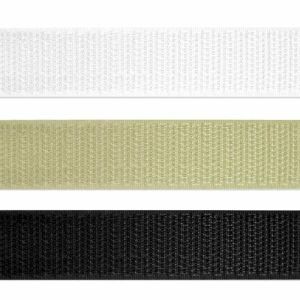 It is available in white, black or beige as well as 25mm and 50mm wide. 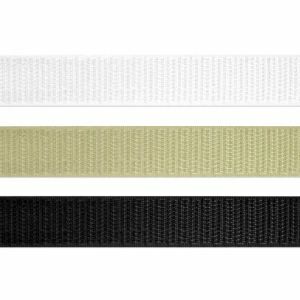 However you can always use multiple strips side by side where a wider panel is required. Ask us about discounted wholesale pricing for bulk quantities and carton lots. Shop online for delivery around Australia or collect in store from our fully stocked Sydney warehouse located in Chester Hill NSW.